Some watch too much news. Others ignore it altogether. Yet others suggest a balanced approach: praying the news as a way to express compassion for those in strife. Why should we care about the next Pope? An expert in church-state issues says recent remarks by vice presidential nominee Paul Ryan show even after 50 years, many Americans misunderstand a landmark Supreme Court ruling that banned mandatory prayer recitations in public schools. Nearly equal numbers of pastors in the Southern Baptist Convention consider their churches as Calvinist/Reformed as do Arminian/Wesleyan, although more than 60 percent are concerned about the affect of Calvinism on the denomination, according to a new survey from LifeWay Research. 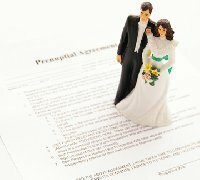 Love is in the air, but what about a prenup? A coalition of national Woman's Missionary Union, state WMU groups, anti-trafficking organizations, state Baptist conventions and churches are attempting to canvass the entire length of Interstate 10 with prayer against human trafficking as well as for its victims. Buckner International foster-care professionals David Chandler and Samela Macon dispell some common myths about foster care. EDITORIAL: What about Perryâs big prayer rally? Will you pray and fast for the future of our nation on Aug. 6? Gov. Rick Perry has set aside that day for The Response: A Call to Prayer for a Nation in Crisis, a rally at Reliant Stadium in Houston.